INCLUSIVE OF GAS, ELECTRIC, WATER AND INTERNET!!! Rooms from £67.50p per week ALL INCLUSIVE!! A great private halls for Loughborough University Students looking for single and double bedrooms close to the uni campus. Based on Valley Road just off the very popular Forest Road, this student halls is well maintained, clean, safe and comes with all bills included. 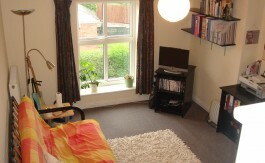 Contact Lufbralets for enquiries, viewings and bookings. “I stayed in 72 Valley Road whilst completing my final year at Loughborough University, and the Lufbralets team, and Waleed in particular, were nothing short of superb. It was a delight to finally rent from a landlord who cared for his facilities and took a genuine interest in his tenants. The house was always kept clean and the communication to tenants about any activities around the property was polite and provided well in advance.